Allie and Justin are two of the most in love couples I know! Their desert ranch wedding was amazing and their love for each other was so contagious! Seeing the way Justin looked at Allie as she walked down the aisle was so beautiful. He started to get teary-eyed as he saw his radiant bride walk closer to him. Their ceremony was so emotional, even the officiant was teary-eyed. After the ceremony, the couple had a few of their favorite snacks for their guests and they did not disappoint! They had homemade tamales and margaritas with chips and salsa! Their guests loved it!!! 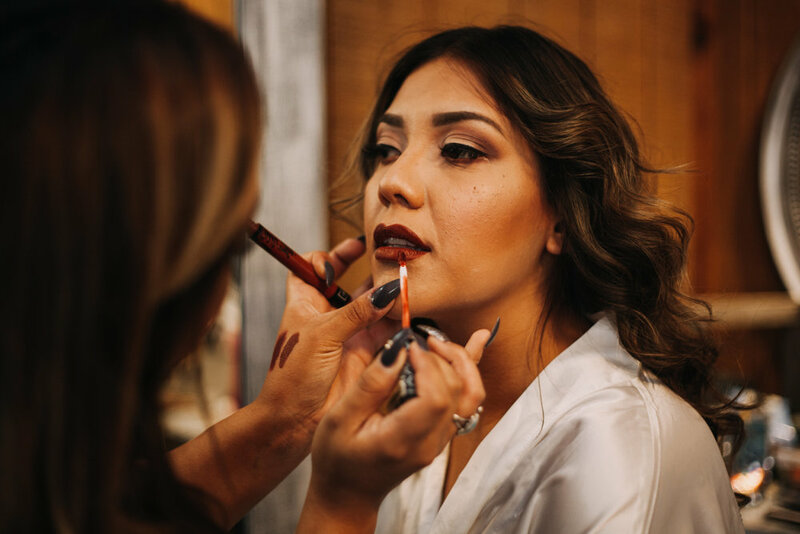 All in all, this desert ranch wedding was so beautiful with hues of green, burgundy, and a touch of gold! 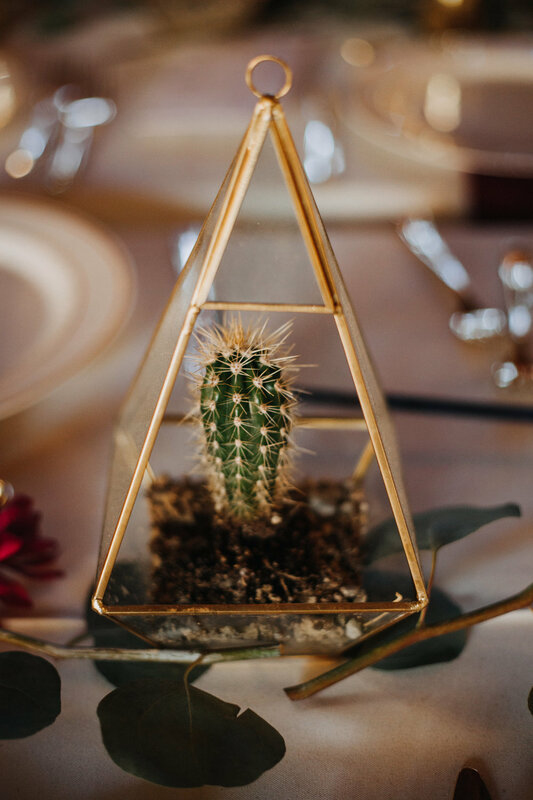 Allie also loved succulents, so naturally, all her centerpieces had succulents in them! I hope you enjoy the beautiful photos from Pink Feather Photography!